We are a people from different backgrounds, with different interests, with varying viewpoints on just about any subject, but one thing unites us—we have found forgiveness, grace, and life in Jesus Christ. We don’t have it all figured out, we struggle in life and with faith, but we are really glad we can do that as a part of this loving community of grace.  What are you about? We are all about life together in our Savior, Jesus Christ. He is our only hope so we come together to be reminded of what He has done for us.  What are your services like? Our gatherings celebrate with both modern and ancient elements. We sing together as the church has done throughout history. We use liturgical elements such as responsive readings and creeds and confessions to remind us of the good news of the Gospel. Our preaching is always centered upon the work of Jesus Christ for us and connects to our everyday lives. You can see & hear some of our gatherings online.  Where are you located and when do you gather? 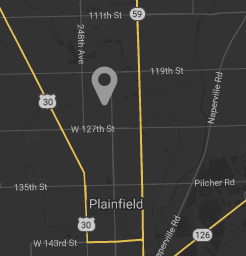 We are located at 12410 S Van Dyke Rd in Plainfield, just across the street from Heritage Grove Middle School, and we gather on Sunday mornings at 10am. Check out our Time & Location page to learn more and view an interactive map.  What about my kids? We love kiddos! We welcome and encourage families to worship together on Sunday mornings. However, we also believe that children benefit from experiencing teaching and worship in an age-appropriate environment. We support both values by having children join us for the first 20 minutes of each worship service and then inviting them to go to a children’s worship experience—CORE Kidz Worship—for children age 3–5th grade. There, your child will engage in age-appropriate teaching, games, music and more with other kids their age. Of course, your children may instead join you for the entire service if you prefer. Our infant and toddler nurseries provide a safe and fun environment for children under age 3 during our Sunday morning gatherings. Our caregivers have completed safe child care training, and we observe proper check-in and check-out procedures in order to make sure children are well cared-for! *Please note that care givers do not change diapers; we’ll contact you during the service by a special code number if your child needs you. If you would like to keep your infant or preschooler with you, we think that is wonderful! If your little one needs to move around a bit, the lobby is certainly available for that purpose and the sermon will be shown on the TV’s there. We also provide children’s bulletins for your child to draw on to keep them occupied during the service. For children who are nursing there is a cry/nursing room in between the nurseries for newborns and their parents. If you have further questions, please stop by the welcome desk or contact us.